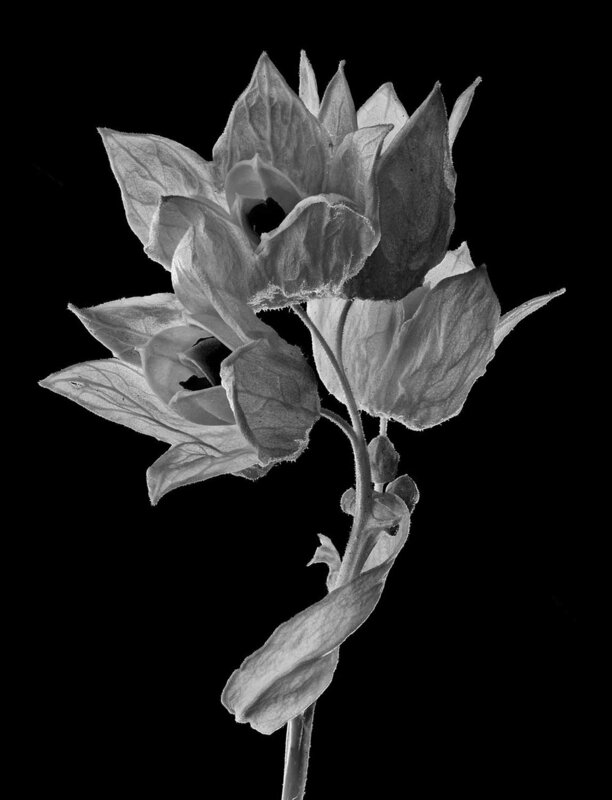 I want my camera to be an x-ray machine—capable of looking through plant membranes to the seeds inside. If that can’t happen I look for shapes that flow into patterns. I look for translucent surfaces and edges that glow with back light. Potential images are everywhere—especially in the smallest parts. Closeups present focusing difficulties. The closer the camera to the subject, the narrower the depth of field. Most of the image is out of focus. I’ve overcome this problem by using a technique called focus stacking. Most of my photographs are composed of several images—each focused on a narrow slice. 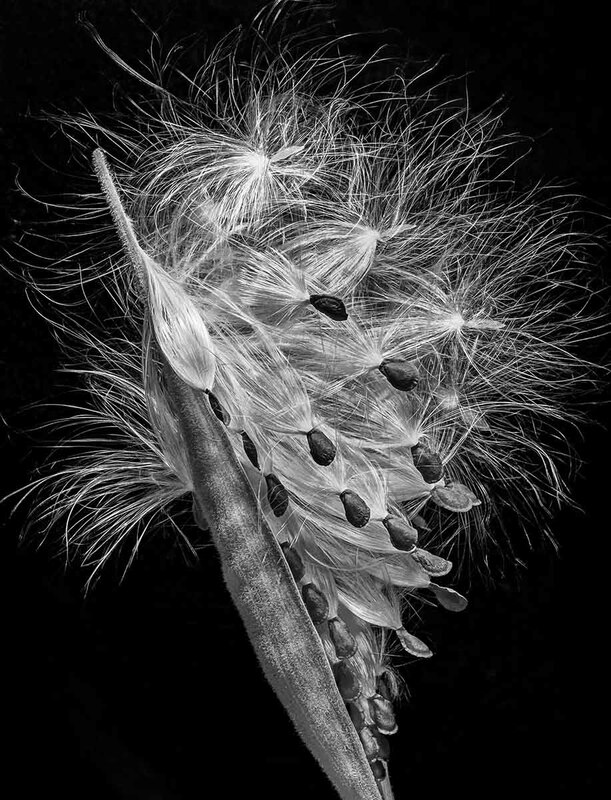 When the images are combined, the photograph shows the subject in focus, offering an opportunity to study the plant or insect in detail.